Popular luxury car maker, Mercedes Benz has announced that it will be bringing the new-generation Mercedes Benz A-Class to India on December 8. The luxury car maker had unveiled the new generation A-Class internationally during the June month – within 6 months time, the company is bringing the A-Class to Indian market. The manufacturer has said that their would be subtle changes, a very new interior trim and few updates to the engines as well. Internationally, the company had unveiled petrol, CDI and Motorsport edition versions and the Mercedes-AMG A 45 4Matic; When launched in India, the car is expected to get only the petrol and diesel versions. 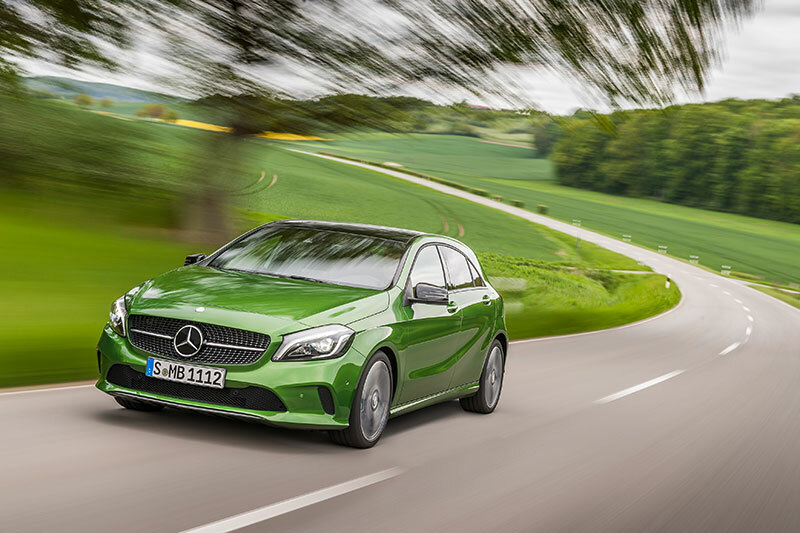 The new A-Class from Mercedes-Benz would be getting a revised air dam plus new head lamps. The car manufacturer would also get an option of LED headlamps which is actually a standard feature for he AMG variant. There is also not much of a change in the A-Class’s rear end except for the LED tail lamps. When it comes to interiors of the car, there are a few subtle changes like upgraded materials with new colors for the car’s dashboard trim. The infotainment screen’s height has been increased to eight inches and is available only as an option on new car. The seats of the car would be getting an additional 60 mm cushion depth that aid comfort according to Mercedes-Benz. The New colors and materials of the car, as well as new finishes for the trim in the dashboard would ensure a fresh ambiance. The car’s new features includes Sahara Beige / black leather in the Exclusive package. The A-Class becomes the first Mercedes-Benz that features smartphone integration which includes Apple CarPlay and MirrorLink. Mercedes Benz A-Class models with 7-G DCT transmission would also come with launch assist, a very first feature for the car. The “ECO display” in Mercedes Benz would be taking a new form that will assist the driver in maintaining an environmentally friendly style of driving. Watch this space for more details on new Mercedes Benz A-Class which is scheduled to be launched on December 8. The launch of the A-Class also marks Mercedes-Benz India’s fulfilling its commitment of launching 15 new products in 2015, as coined in the term ’15 in 15’!